- It's worth noting that WWE did not air a teaser vignette for Lana's SmackDown debut on tonight's show. The Lana vignettes first started airing in April after her "Superstar Shakeup" brand change was announced but this is the first week where they did not air a new vignette. As noted, Lana has been working WWE NXT live events and training at the WWE Performance Center to prepare for her debut. - As noted, the first-ever women's Money In the Bank Ladder Match will take place at the June 18th MITB pay-per-view from St. Louis with Charlotte Flair, Carmella, Natalya, Tamina Snuka and Becky Lynch. In this Fallout video, SmackDown Women's Champion Naomi talks to Dasha Fuentes about the historic match. 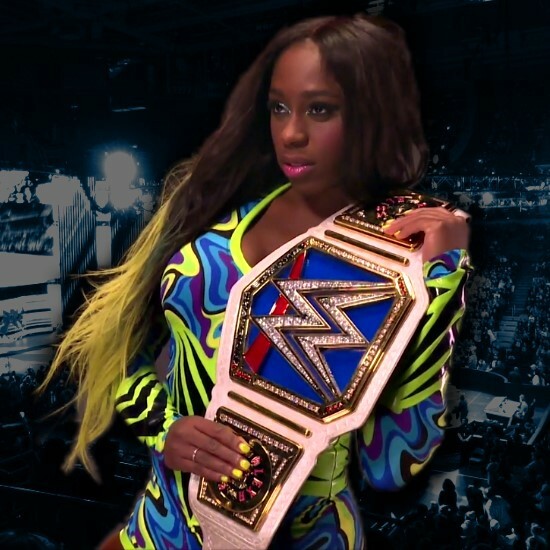 Naomi says she would love to be a part of the match as it's one she's always wanted to work but she is the champion and she's still waiting to find out who her #1 contender is. She says it's bittersweet. Regarding a potential cash-in, Naomi says someone will have to catch her when she's down and vulnerable but that's not happening.